Leah Smith finally has everything she has ever wanted. Except she doesn’t. Her marriage feels more like a loan than a lifelong commitment, and the image she has worked so hard to build is fraying before her eyes. With a new role and a past full of secrets, Leah must decide how far she is willing to go to keep what she has stolen. At the end of The Opportunist, I hated Leah. She’s conniving, manipulative, mean and seems completely superficial. After reading Dirty Red, I’m not ready to be her BFF, but it shed so much light on her actions and the intent behind those actions. I understood her better through this book. My big AHA moment, however, was just how similar she and Olivia are. Their upbringing has made them somewhat broken and complicated and insecure. They both crave love and a sense of belonging. And so for both of them, Caleb represents everything they desire… love, solace, belonging. Who wouldn’t chase after that fiercely? And Leah, for sure, is in it to win it. 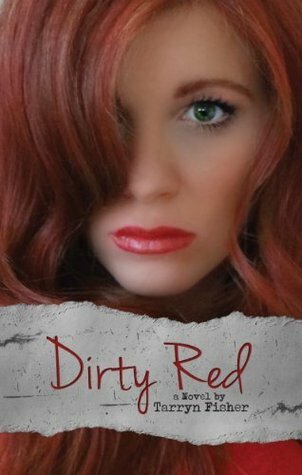 Dirty Red is told entirely in Leah’s POV, and like with The Opportunist, is told in both past and present tense. Her thoughts are not as surface level as I imagined them to be. She’s a study in contradiction. At times, her feelings are pained, real and raw and other times, it’s as if she shields her vulnerability with superficiality and laser-sharp focus. The story begins with the birth of Caleb and Leah’s baby. She feels no connection towards the baby and she unbelievably sees the baby as a threat… competition for Caleb’s attention and love. I couldn’t believe it. I never said she was a saint, but to see your child as competition is crazy. She is crazy. Slowly, however, you start to see some of the possible reasons for her lack of connection. She grew up without the love and affection of her own mother. Not only that, but her mother didn’t like her much at all, leaving her feeling alone and unloved from the beginning. Although her insecurities are understandable, with time, they’ve only amplified. When she first met Caleb, he was a challenge that fueled her. The more time they spent together and learned about HER, Leah’s self-doubt skyrocketed. Not only did she feel ownership of Caleb, she was determined to make him forget HER. But Olivia was always the third person in their relationship. She becomes obsessed with Caleb, obsessed with HER, obsessed with winning. She becomes completely consumed with keeping Caleb away from Olivia. It’s hard to tell who the real Leah is… she’s multi-layered… shallow yet thoughtful and smart enough to weave a web of lies to keep Caleb. Leah’s approach is certainly the darker part of this love triangle… she’s just gone off the deep end. I also think it was so interesting to see Caleb in this side of the story. He is such a perceptive, intelligent guy… nothing gets past him. I loved seeing the possession, protectiveness and love he had for his daughter. At one point, Leah does something so awful that I wanted Caleb to just tear into her. She’s irresponsible, careless and self-centered. As the story progresses, it was visible how nerves began to fray, emotions seemed to spin out of control and at the same time, parts of the situation became increasingly clear. In the end, I wasn’t sure I knew who Leah truly is… in fact, she may not know who she is herself. All she knows is that she has to keep him. The last line of the book is explosive and the Epilogue is riveting and throws down the metaphorical gauntlet. Olivia and Caleb HAVE TO end up together! But things are so much more complicated now and it won’t be easy or clean even if it does happen. Tarryn Fisher is so good at surprising us that I don’t know what to expect in The Thief, but I can’t wait to read it!